Corner Drugs offers a wide range of quality home medical equipment and supplies. We care about our customers and are much more than just an equipment and supplies store, we are reliable service providers. 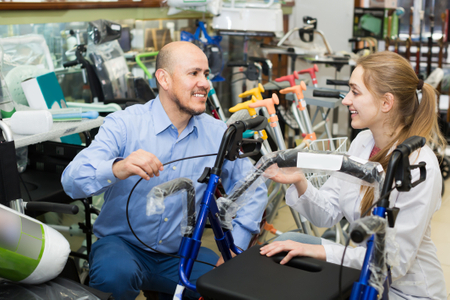 Whether you are a patient or a caregiver, our knowledgeable staff would help you pick out the best home health products for your unique needs, and offer peace of mind. Diabetic & Therapeutic Shoes by Dr. Comfort, Interested? We’ve got them! Whether you are looking for vitamins or nutritional supplements to help you restore your digestive processes, we have proven nutritional products for you! Call us today to get free home delivery of products to your doorsteps.